Most of us have known Rajesh Hamal as an intelligent actor of Nepali film industry, the actor who has played in over 100 films in his career, and who at times appears in quiz shows and television interviews. But what is the superstar’s understanding of Nepali politics, economy, society and Nepal’s foreign affairs? Where do we stand as a nation today? Mahabir Paudyal and Thira L Bhusal met the superstar to explore various aspects of Nepali politics. You have seen three big political changes in your life. What is the fundamental characteristic of Nepali politics for you? We have lived through and experimented with different political systems. Any system has to evolve with time to sustain. Panchayat lacked that kind of evolvement. The downfall of Panchayat was because of its own weaknesses and vulnerabilities from within rather than the opposition from outside. You could say that about Rana rule and, to some extent, multiparty democracy system and monarchy as well. They all fell due to weaknesses from within. This has been the trend in Nepali politics. If Panchayat had evolved with time and accommodated aspirations of people it would perhaps have sustained longer. Panchayat as a system in itself was not wrong. There is no such thing as the perfect system in politics. Any system can be a good system as long as it addresses the aspirations of people and needs of the country. This is probably the secret of survival of monarchies in some of the countries. If they had sought continuity in their old form, they would perhaps have become obsolete. Multiparty system had come as a big departure in 1990. But it could not last longer. The biggest drawback of Nepali politics is that whenever we go from one system into other, people in course of time feel that the new system is pushing them from frying pan into the fire. That is one of the reasons, we think of the old system nostalgically. We tend to forget dark sides of the past and think of its positive sides. Negativity of the present leads us to look back to some positives of the past. We start romanticizing a few positive sides of the past. This has remained one fundamental characteristic of our politics. Where do you see general people in this scheme of politics? General people have always wanted change and betterment. But mostly political parties and leaders have used people for their cause. Political leaders used people to overthrow one regime after other all in the name of their betterment. This was so with 1990’s political movement, Maoist movement and 2006 political movement. But whenever we have new leadership in power people have been extremely betrayed. People have been mostly used and thrown. In a way, general people have been the most used and the most abused entity in our political system. People looked up to some leaders to lead for their cause. And leaders see that vulnerability of people, make most out of it and forsake them. The biggest grievance among general Nepali people is that they have always been taken for a ride. I hope this scenario will change from now on. Nepali people have been patient. They do not expect overnight drastic change. They wait and become satisfied even with small changes. Leaders should not take this patience and generosity for granted. You have been traveling around the country and meeting people. What changes did you see in our society? How has Nepali society changed, if at all? It would be wrong to say that we have not changed at all. In the last 30 years, life of Nepali people has changed a lot in many ways. Their social conditions look visibly better. In my own life time, my memories of Nepali people have been that of extreme poverty. In place like Kathmandu, every third person was barefooted some 30 years back. There was not much difference in lifestyles of people 30 years ago with the lifestyles around 100 years ago. The way they went about their daily chores, the tools they used for agriculture, was not very different 35 years ago. But in the last 20 years, Nepali society has drastically changed. Along with these changes, we are also witnessing erosion in our values and social system. What kind of erosion is that? Will you elaborate? The kind of development we see at this moment is chaotic. It will not sustain us for a long run and do us proud. Look at Kathmandu. We have new infrastructures and new houses. More children go to boarding schools than in the past. More people carry mobile phones. But if you look into this city as a whole, it has been a complete mess. In the name of modernity and development, we have lost most of the basic things like good air and pure water. We might be better clothed, we may have got enough food to eat but the basic necessities that sustain life are eroding. The quality of air is gone. And there is no source of clean drinking water. Thirty years ago, if you told a Nepali that there are countries in the world where people buy drinking water they would be flabbergasted. Now drinking bottled water has become a normal practice. This kind of development won’t be sustainable. Because the economy that runs this change and development is not based on solid root. Ours is a remittance based economy. We are surviving here because some of our brothers and sisters are toiling in foreign lands under harsh conditions. What will happen if this source of economy dries up suddenly? The so-called economic benefits we are enjoying from remittance have brought in huge disaster in social fabrics. The old values and norms which ran a family unit have been destroyed. You have a father working in one country, a mother in another country or may be back in village while their children may be in boarding schools or left under the care of relatives. This does not foster family values. This does not create a solid basis for a society to prosper holistically. Think of it. Most of our people in their productive age are working abroad, 95 percent of them involved in unskilled works. They will be able to earn only as long as they are physically strong. Once they stop being productive because of age or illness, they will be sent back home without pension, without social security, without substantial amount of saving, and most of all, completely enervated. Who will look after them at their old age? How will they provide for their family needs? I see hardly any politicians thinking about this cohort of people. Like I said, politics mainly has helped the leaders to enrich themselves. The main sickness of Nepali politics is that politicians are not willing to sacrifice once they are in power. And this is a big irony. Nepali leaders have always shown better leadership quality when they were struggling. They have sacrificed a lot, suffered persecution and prosecution. Most of our current leaders started politics in their late teens and fought for the cause until their 50s. I don’t understand what happens to these rare qualities when they come to power. Once in power, they have been extremely weak in character and greedy. In July, 2016, when K P Oli resigned you called him “the man who has won by being defeated.” Since, you seem to have remained diehard supporter of Prime Minister Oli. What of Oli fascinated you so much? More than political ideologies or a political party, I am looking for a right person to lead Nepali politics. I thought of Oli as the right person at that phase of history. He appeared as a strong political figure. I don’t say that his history has been immaculate. But at that time I saw him as a figure who stood for this country and the people. The nation was suffering. We were struggling to come to terms with devastation of great earthquakes and we were in need of support. What we got in return was a huge sanction, which paralyzed us completely. At that moment, at least he gave us strength and hope. Looking back, what is your observation of 2015 blockade? Our politics vis-à-vis India has always been complicated. We have not been able to call spade a spade during the difficult times. Whenever it comes to defining India’s role or meddling in Nepali politics, we have always spoken in roundabout manner. Had we corrected the ways we dealt with India in the past, perhaps that situation would not have arisen. Interference from southern neighbor in our internal affairs has been there for generations. And this disease troubles us even today. The incumbent power of this country has always looked for its stake in southern neighbor and they have taken advantage of this weakness till today. In your view, why does our relation with India sour now and then? We as a nation have our own drawbacks. We must admit that. We are weak politically, economically and in terms of resources. So we look for cooperation and resolve our differences amicably. 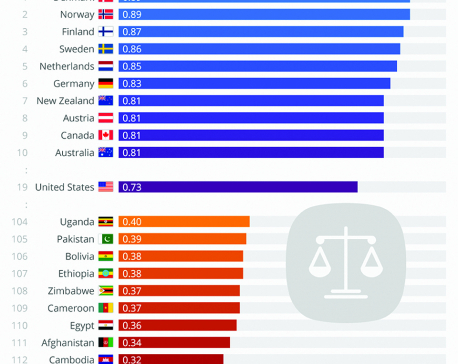 In relation like this, when the other country puts pressure and force just because they can, it does not seem fair. It’s not fair to take advantage of weakness of a nation just because we cannot retaliate with force. The only way we retaliate is through dialogues and talks. To our disadvantage, our politicians have not been capable enough to negotiate through that channel effectively. Our leaders have lacked statesmanship quality when it comes to putting things across to foreign powers. Now we have K P Oli, the person you once appreciated, as the country’s prime minister. How do you evaluate him? I have certain inclination toward KP Oli because I think if Oli is to be taken away from today’s political scenario there would be huge vacuum and lopsidedness in Nepali politics than would be with absence of any other leaders. I have that feeling until today. 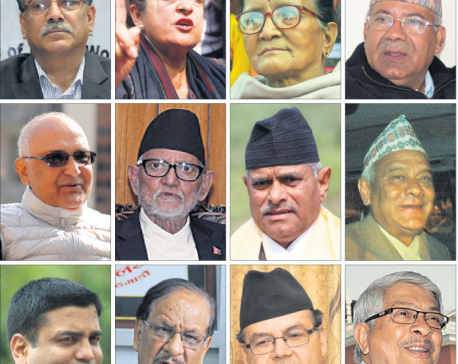 Today, Nepali politics can afford absence of any other leader but Oli. I cannot stand for him for what he will do tomorrow. But as I speak to you now, I have this feeling. Sad thing is Nepali politics is not just an internal affair. We may blame the history or characters who made mistakes in history for this. May be the very foundation of relation between Nepal and India was not strong enough. May be our political leaders are not as strong as we would like to see them. Sometimes they might appear like an object of pity. To become the most powerful leader of the nation and then to realize that you are actually not powerful at all can be a humiliating situation. To be a prime minister of this country could be a humiliating situation as well but after becoming the prime minister for the second term and his visit to India and China, Oli seems to be trying to stand on equal footing as much as he can despite his vulnerable position as prime minister of Nepal. Let’s face it. To be a prime minister of Nepal is not to be on a secured ground in terms of foreign relationship. It requires a tremendous amount of balancing act. Oli is trying to do that. He is trying to stand on equal ground. At least he has given emphasis on Nepali people’s right to be happy and prosperous. By visiting China he has tried to end the lopsided relationship with just one neighbor. He is emphasizing not only better relation with India and China, he wants conducive relationship between India and China as well so that they don’t see each other as a threat. Our southern neighbor shouldn’t feel threatened by our friendship or engagement with northern neighbor. That we are close to China doesn’t mean we are disregarding India. But every time there is some positive development in Nepal’s relationship with China (which has nothing to do with any other country and it is solely on the basis of mutual benefits) our southern neighbor takes it as a threat. It is immature to think that we shouldn’t be in friendly terms with any other countries apart from India. I don’t know if it’s the government stance but Indian media have been reporting in very disrespectful manner both to Nepal and China about Nepal’s recent development with China. This is unfortunate. Political instability was blamed for crisis in Nepal. Now we have a strong government with two-thirds majority. Does this make you optimistic? It does make me optimistic because what has happened now hasn’t really happened in recent history. We have a constitution promulgated by elected Constituent Assembly. And we have been able to form a strong government in accordance with the constitution. That is a great achievement. The government is raising big development agenda. Some might find it far-fetched, others may say the leaders are only talking and dreaming. But don’t forget, everything starts after the talk. When we say we need a visionary leader, what is a vision? Vision is a dream. It has to start with a dream. We can’t have a rail or road without first talking about it or dreaming about it. I think we need to give the benefit of doubt to this government. PM Oli has floated ‘Prosperous Nepal, Happy Nepali’ slogan. Let’s hope he gets to that destination. Let’s give him the benefit of doubt. I am not saying that because we have flawless leaders today. But I see some differences. That’s where I see hope. You say so but some have accused him of displaying authoritarian tendencies. If there will be any changes in the constitution the general people don’t like that can be dangerous because we have mainly voted for this constitution. If the majority in the parliament takes advantage of the number and if the democratic norm is shaken, that will be unfortunate. That is the only disadvantage majority government can create. But I don’t think too much in that line. From what I have seen so far, I find Oli as a strong democratic leader. I don’t think we need to worry too much about authoritarianism because if the government takes unpopular decision people will protest. Our development must follow bottom-up approach. Upliftment has to start from the grassroots. We need reforms in education, health and employment. Only that can bring prosperity and happiness. We need to create a genuine economic stability. After retirement, many actors become active in politics. 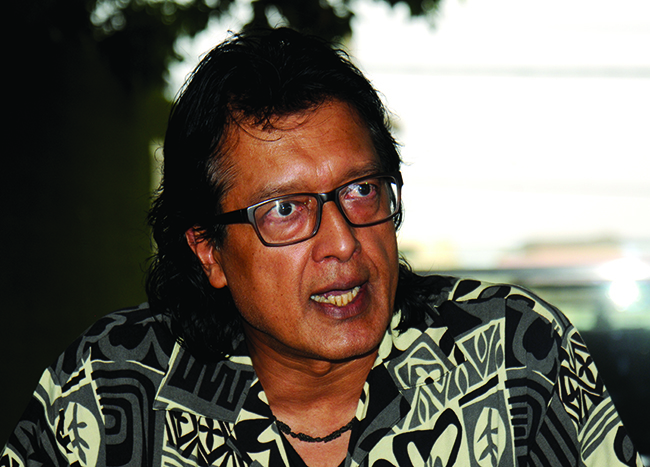 Where will we see Rajesh Hamal few years down the line? Anything can happen but for now after working as an actor for several years I think I will voice my voice as an actor. It is our responsibility to voice our voice for the betterment of nation and people. I sincerely believe that politics should be handled by those who have taken their first step to do politics. I haven’t taken my first step to be a professional politician. My first steps took me into art. And I want to dedicate myself into this. This is my forte and this is where my sincerity lies. Politics should be practiced by those who have taken first steps of their lives to better politics of this country and people. No one else can be as passionate about it. But it would be very unfortunate if these people, who stand on such solid foundation of political career, betray people and deviate from their main goal. Politics should be done by the people who have sacrificed their lives in the name of politics and change. How ill are our political leaders?